Chuck and I had such a great week last week. It started on Monday which was my birthday. We dropped the kids off at school then headed to the harbor for a scuba dive boat trip. 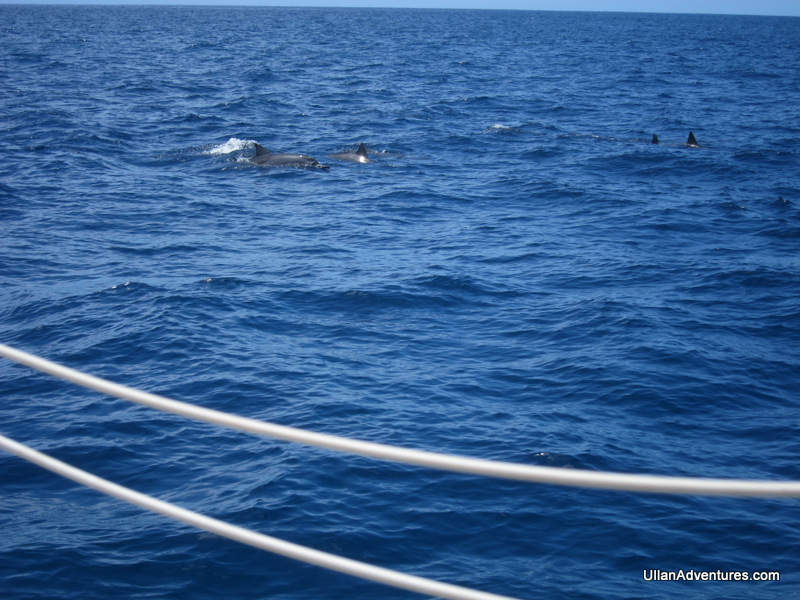 As soon as we left the harbor, a huge pod of dolphins came over to play so we watched them cruise beside/under/around the boat. The dives were fabulous. However, on the first dive I headed over to a cave with the rest of the divers and saw a small white tip reef shark. 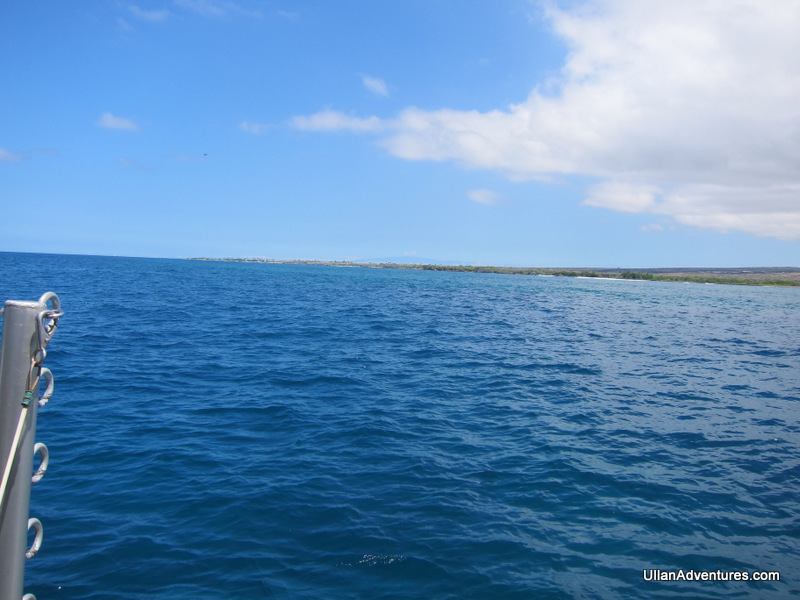 When I got to the boat, I found out that a 2nd reef shark had come out of the cave and swam right under me. And I never saw a thing! ACK! The 2nd dive was tremendous. One of those dives that made me want to stay in the ocean for hours and hours and hours. In that dive, everything in the past 6 months came together and I was filled with such a sense of happiness, contentment and peace that I can’t even explain. The rest of the day we did my cake, headed to a happy hour for pupus (appetizers) and Mai Tais. On Wednesday, we did a family trip to one of our favorite beaches here. I went for a swim in the ocean while the kids played and then I borrowed the boogie board from Chuck determined to learn to boogie board. Somehow it all came together and I was riding wave after wave into the beach and even learning to turn a bit. I must have spent a good hour or more riding waves until I wore myself out. Thursday, Chuck and I went out snorkeling. We hit this spot we’d only briefly checked out before and spent about 2 hours viewing the coral and fish. We saw a sea turtle as we were getting in but unfortunately didn’t see him from in the water. On Friday, Chuck and I went to this amazing snorkeling spot, Place of Refuge, and again spent about 2 hours exploring the vast coral forests and the tons of fish. Saw a white mouthed moray eel at the end swimming around which is always a treat. Anyway, it was a great, great week filled with lots of ocean time. I find I’m happiest when playing in and around the ocean so every day was a real treat. Aside from the ocean stuff, there always seems to be a festival or cultural activity on the weekends and we’ve hit so many: rodeo, Mai Tai festival, mac nut festival, Kona coffee festival, Japan Hiroshima Peace festival (I think we were the only non-Japanese there). Hopefully we can start to participate a bit more now and start making some connections. Next post: Wednesdays are Kua Bay Day!